Banking customers and prospects are interacting over phone, social, mobile and in person. The mountain of data captured at each of this touch points makes it challenging for a bank’s different lines of business to respond to prospects and customers in a streamlined fashion. 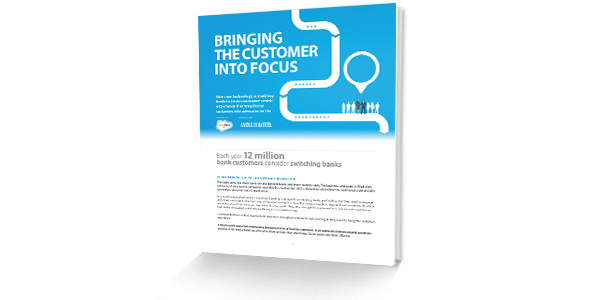 In this white paper created in partnership with American Banker, you’ll learn how you can increase collaboration across internal teams to convert more leads and provide an unparalleled customer experience.